Collared Greens super soft, 100% American Grown & Sewn tees are always in demand. Commonly referred to as “my favorite t-shirt,” or “the only one I wear,” they keep getting better and better. In order to bring you the softest and most comfortable t-shirt, Collared Greens have recently perfected our t-shirt sizing. 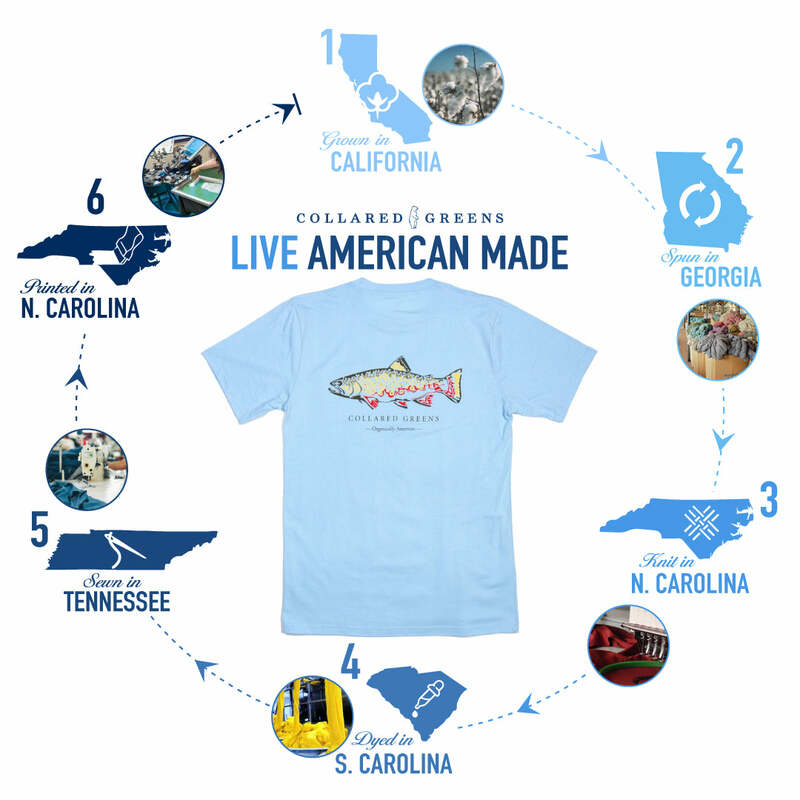 This fall, they are introducing our 100% American Grown & Sewn t-shirt with a flawless fit. First, thank you! We are glad you are back for more. Consider ordering a size smaller than your current shirt. Please refer to our fit and care section below for more details. Congratulations and prepare to fall in love. You are making a great choice! Consider ordering a smaller size if you are in between sizes.